Psychologists have helped people identify why they may not be satisfied with a recent purchase. It's called buyer's remorse. The emotions or circumstances that caused you to buy that new watch or new dress or new car may change right after the purchase and now you decide you don't want it, or worse, you don't LIKE it. In those cases you simply return the item. However, in the case of home buyer's remorse, returning the home is not so easy. Although it may sound like a far-fetched idea now, home buyer's remorse is real. This is the reason that so many home experts tell home buyers to take their time and pick the place that is right for them. 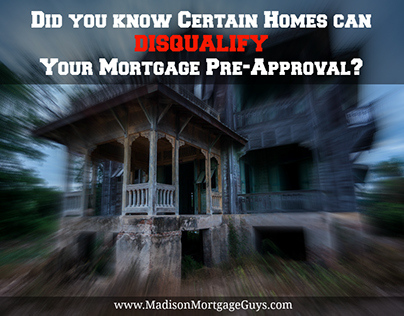 While a loan officer can help avoid some problems by making sure you are pre-approved for a mortgage vs pre-qualified, that may not be sufficient. Likewise, a real estate agent can help you avoid problems by steering you away from a property that could disqualify you from your mortgage. However, there are other factors at work that you need to consider prior to finalizing the purchase of your next home. Some folks will stop on the way home from work and pick up some fast food for supper even though they have plenty of food in the pantry and fridge at home. They simply have the money and the restaurant is on their way home. That is not the way to purchase a home. Just because the price falls within your budget, your lender can approve you for the home, and you are the only person bidding on the property does not mean this is the best home for you. Even if you get approved for a great interest rate with an FHA mortgage or VA mortgage or USDA mortgage, there is more to buying a house than just the finances. It may sound a bit extreme, but if you plan to live in a place, you should be familiar with every single room in the house. Ask your real estate agent to meet you at the home with the intent of looking over each and every room. Open each door, look through each window, go through the closets, look at the ceilings, inspect the carpet (or tile, or hardwood) and keep looking. Very few homes are 100% perfect for your tastes and needs. The idea of this inspection is to determine if you can be happy with the condition of the home or if there is some major repair that needs to be made prior to purchase. After looking at the property and taking time to inspect all the rooms, it is time to review the real estate photos of the home. Look at each room and decide if your stuff can physically fit in the right places. For example, you may have a large love-seat, full couch and 2 recliners in your current living room. If the real photo shows only a couch, recliner and coffee table with very little extra space, you may not be comfortable in the new setup. Review the pictures of the bedrooms carefully as well. See if the rooms appear dark and dreary on a sunny day or if they appear to be the right size for what you need. Looking at the pictures after you have looked at the house may point out a deficiency that you did not notice previously. It is never a good idea to purchase a property after just one visit. This is likely the biggest cause of home buyer's remorse. Although it is best to visit a home with your real estate agent, there is nothing wrong with simply going by the property or driving through the neighborhood and taking some mental notes at different times of the day. For instance, drop by the home within 30 minutes of the time you anticipate leaving for work. Note the activity, or lack of, throughout the neighborhood. Is there more traffic than you anticipated? Are there more pedestrians than you normally see? Conversely, go by the home after you get off work. Again, take some notes of what you see. Are your potential neighbors working in the yard, walking the dog, watching their kids play in the yard? Is the neighborhood generally quiet or loud? All of these observations can help you get a feel for the place and make a decision about living in the area. While it is OK to look at a new property in the presence of other buyers, it is not ideal. You may see something that interests you but you have questions. Or you may wish to ask the agent a question in private. Or you may just feel like sitting in a specific room for a few minutes by yourself without distraction. Talk to your agent and ask if you can get a private showing of the property. If the agent is agreeable, ask her/him to give you some space and let you explore the home on your own. This gives you a chance to look at the place without pressure. The majority of sellers will have some disclosures on their property. It could be something as simple as noting the last survey was done when the home was built. Or it could be something more important. Regardless of the number or magnitude of the disclosures, now is the time to go over them. Make notes of the things that you don't understand and discuss these with your real estate agent. Also, ask the real estate agent if there are standard reports like termite bonds, inspection reports and flood zone reports. We don't want to paint a picture that buying a home is all work and no fun. However, we do feel it is important for all home buyers to take their time and do everything within their power to avoid home buyer's remorse. Explain to your agent the type of home you are looking for, the number of bedrooms, size of the yard, location, etc. When you think you have picked the right home, and you are ready to put in a contract, ask your agent to compare your intended property to your original list. This will help you decide if you are getting the property that you went searching for in the first place. 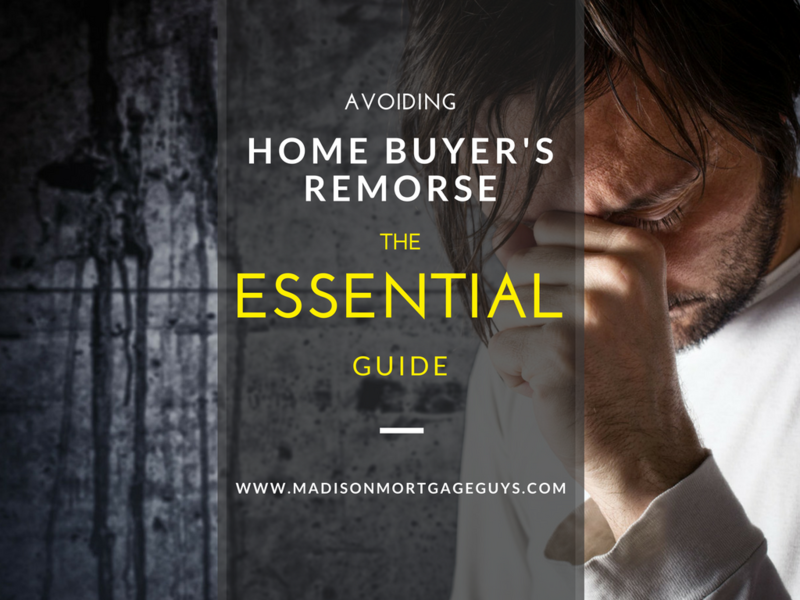 How to avoid home buyer's remorse when purchasing a home!